We often have newly moms and dads for their 1st baby’s newborn photography, but we also have parents who already have their 1st kid and they are expecting their 2nd baby! I appreciate their effort to have pictures as their family treasure, since I know it is hard to move around right after the birth. When I am chosen to be their photographer, I am so honored and it makes my heart bubble and I’m happy that they will have something to pass on to the next generation. When I met the mom during the pre-consultation, she was so very excited to have her second baby. She booked with us 6 months ahead of her due date. We didn’t even know the baby’s gender! She wanted me to capture the belly for the maternity session when she was around 8 months, but also she doesn’t want to miss capturing the moments of just the 3 of them. 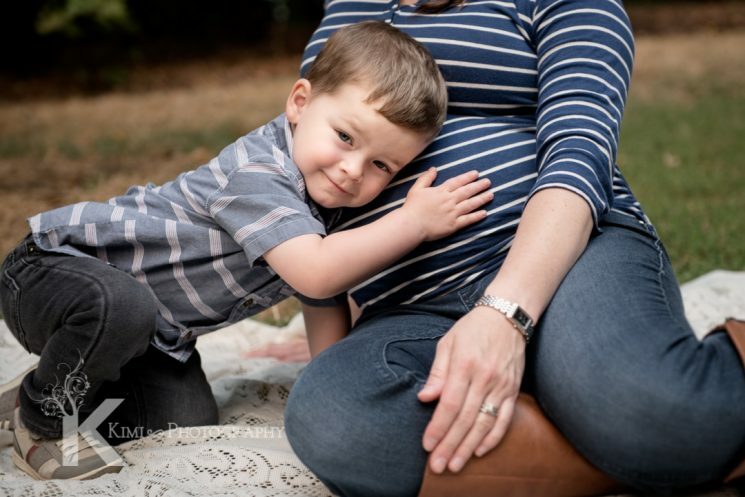 Since she said she could not have time to have family pictures before and missed a newborn session for her 1st boy, I suggested they have maternity photography with family portraits, which focuses on the 1st child and the 3 of them, combined together. Since this family decided to have maternity and newborn session together, there is no extra charge for combining the maternity photography and family portrait session, but we did ask them to allow us to have 2 hours so we could capture additional scenes for their family portrait. With this 3 year old boy, We had so much fun! He has such a sweet smile that makes peoples hearts melt… To capture maternity and family portraits, I always ask parents to be ready to play with their kids. Since communicating with kids is part of my job to bring out their emotions, I love studying what would make them have a fun at our session! It is great having a relationship by playing with them, and it is so helpful if parents are willing to play with them too. This is where the love of family starts! The giggling made everyone smile! Great job on his dad!! Combining your family portrait along with your maternity session captures both stages of this great essence of life! If you are hoping to have pictures to tell your life story of your family, please let us be your photographer!